This Presentation date is October 23, 2018 at 14:00-15:00 local time. 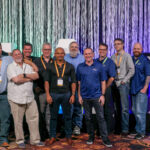 NetApp Hyper Converged or Hybrid Cloud Infrastructure – What Might The Future Hold? 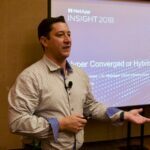 Gabriel Chapman, Senior Manager NetApp HCI, presents hyperconverged and hybrid cloud infrastructure. For the past decade converged and hyperconverged infrastructure technologies have disrupted the status quo when it comes to the datacenter needs of virtualized customers. As we see the traditional CI solutions start to flat line in terms of growth, and the subsequent hyper growth of hyperconverged systems, the one area that is getting lost in the discussion is the role that public and hybrid cloud plays when it comes to these infrastructure technologies. In this session, we will dive into the current HCI market and see what role the public cloud players have in its usage, and what the future could potentially look like for a merging of the two methods of consumption.